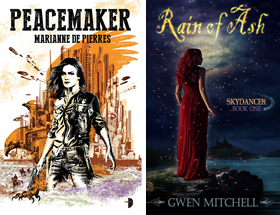 The Orbit Books website revealed a set of new covers for Marjorie M. Liu's Hunters Kiss series. 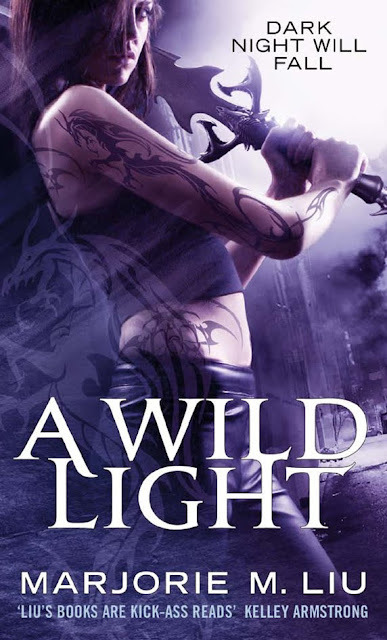 It is not clear to me whether these are US or UK editions, but certainly it is interesting to see the title and and cover for A Wild Light, Book 3 in the series. 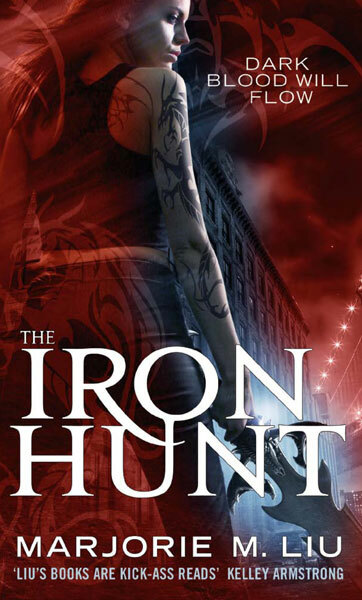 According to Orbit these will be released (rereleased in the case of the Iron Hunt and Darkness Calls) starting in May of this year and spread over 4 months which would make it August for the new book. Maxine is one tough cookie. That is one knarly sword. These are fabulous, really loving the vibe, the tatts and erm...those are quits the swords LOL Thanks for the heads up! They're UK (and presumably Oz) editions, published by Hachette Orbit. The first two books are already out in US/Canada, published by Penguin, as will the third. That thar? That thar is some quality cover art. Bryce I think Conan would have trouble swinging that one. Hey Tez yeah I kind of suspected that. I have the first two books in Ace editions and didn't figure she had switched publishers so UK/AU it probably is. Jess I love her Dirk and Steele series as well. Maxine's tats actually mean something in the story thank goodness. I am really excited for the third book to come out. 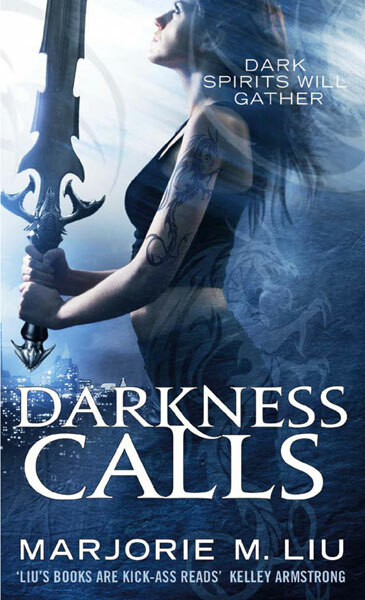 I really enjoyed the first two and I'm currently reading Inked which has a short story of Maxine Kiss in it. Thanks for sharing the awesome covers! Melissa I like these covers but Tez says they are probably UK releases. The 3rd Maxine book in the US will probably look very different but then I like the US covers for the first two books as well. It's okay if US's version is different. I have to agree with you, as they look pretty amazing as well.